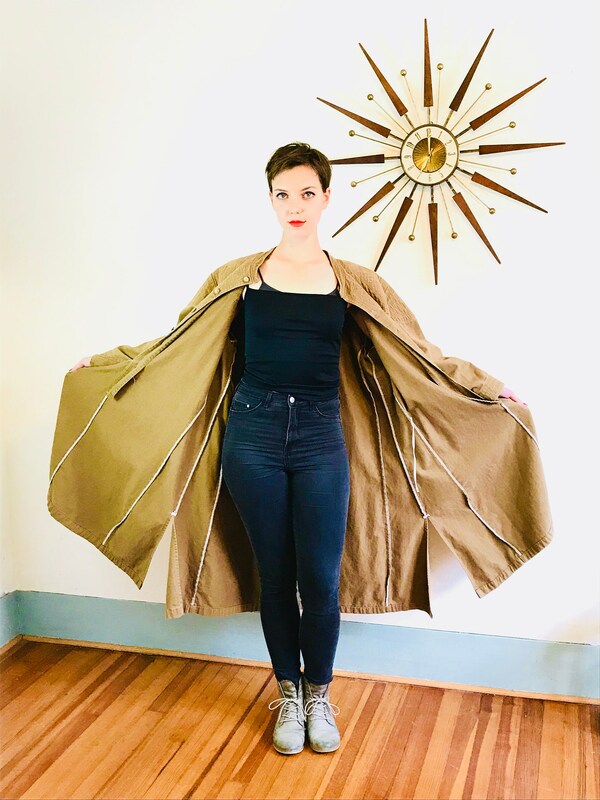 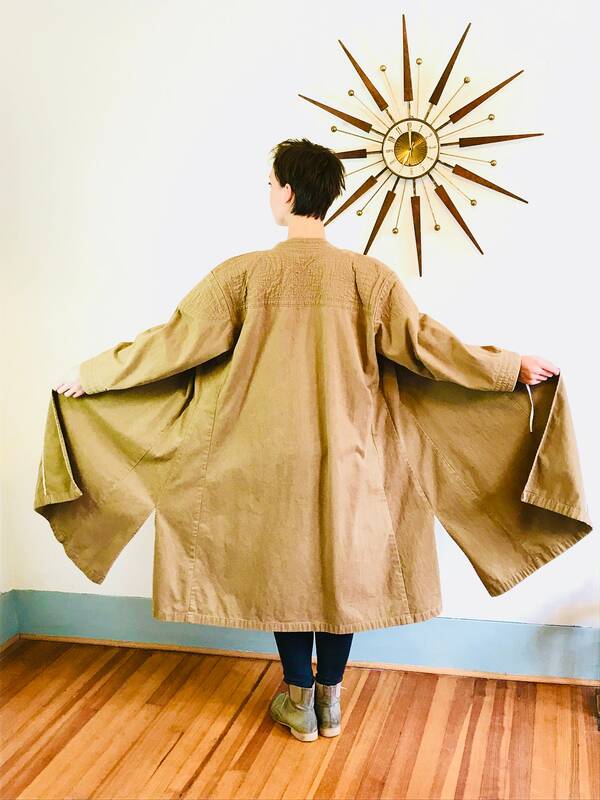 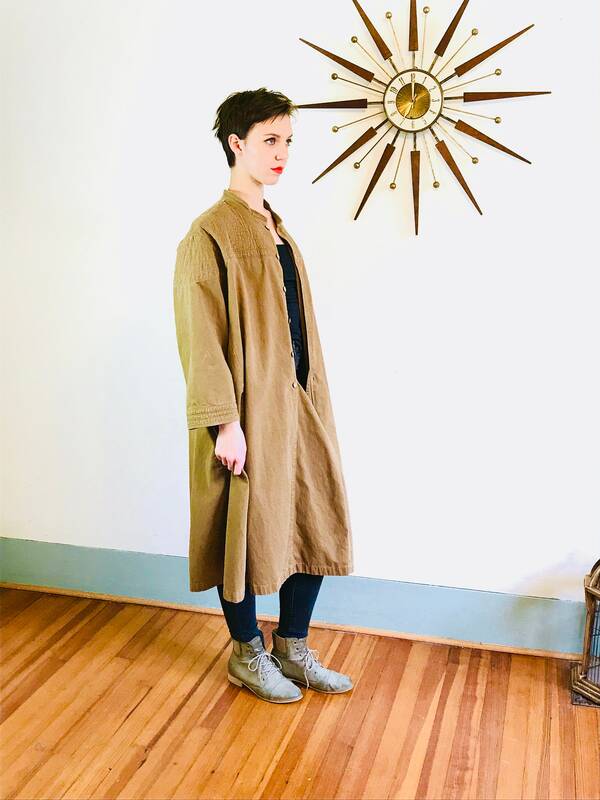 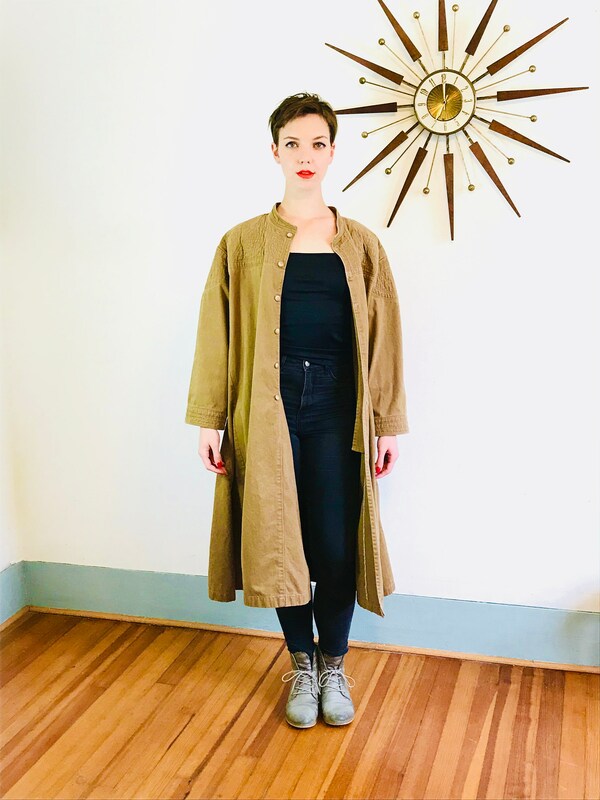 This is an awesome vintage trench coat!! 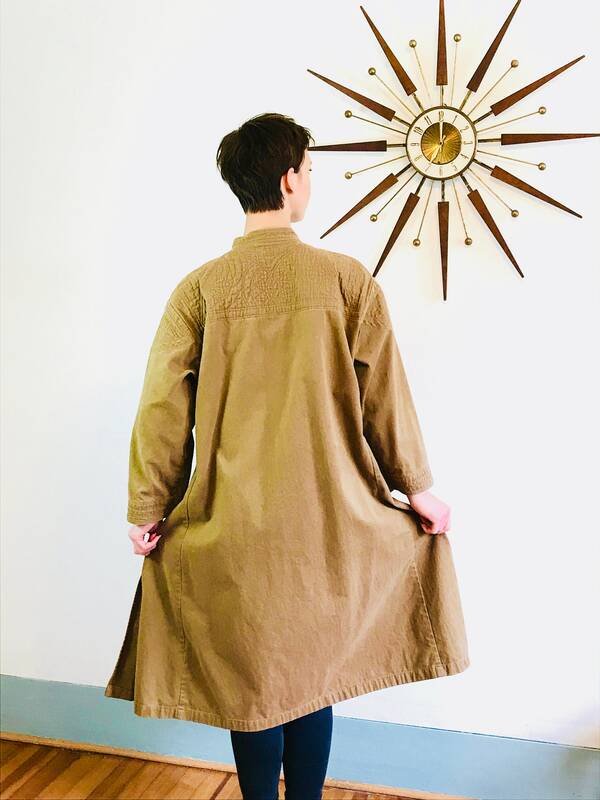 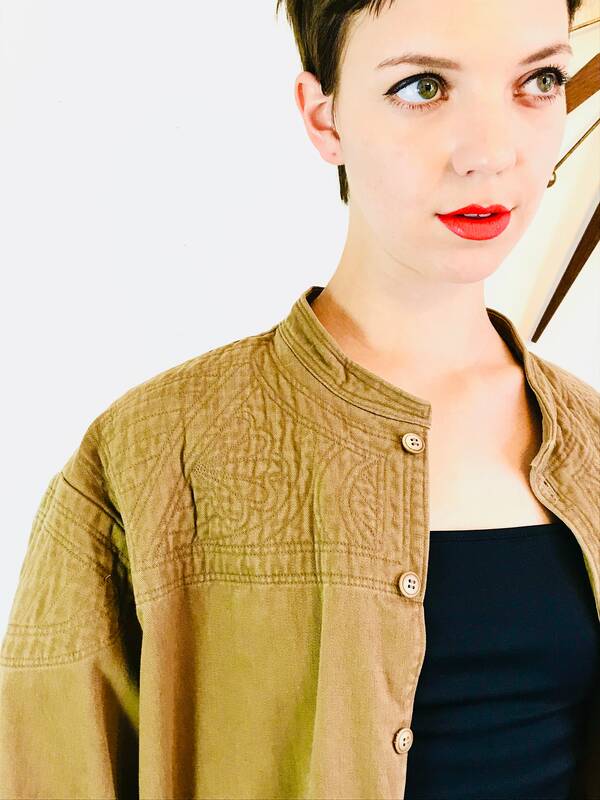 This Canvas Oversized DusterJacket is just beautiful! 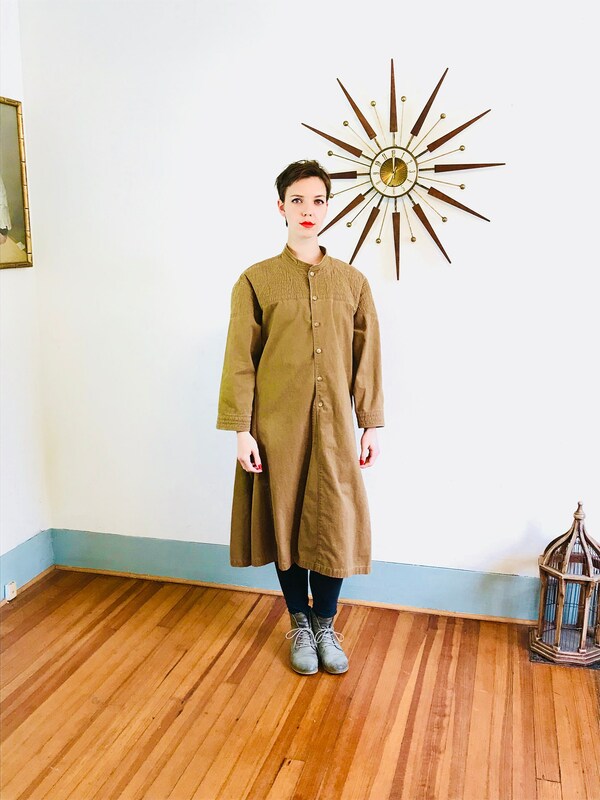 It is a Unisex, an is made of a an earthy brown color cotton canvas. 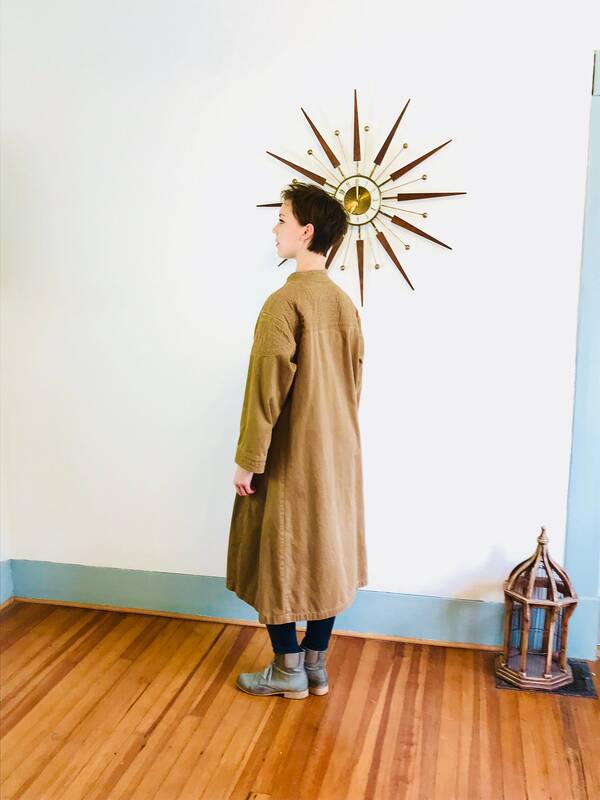 This long duster looks great on a man or a woman!! 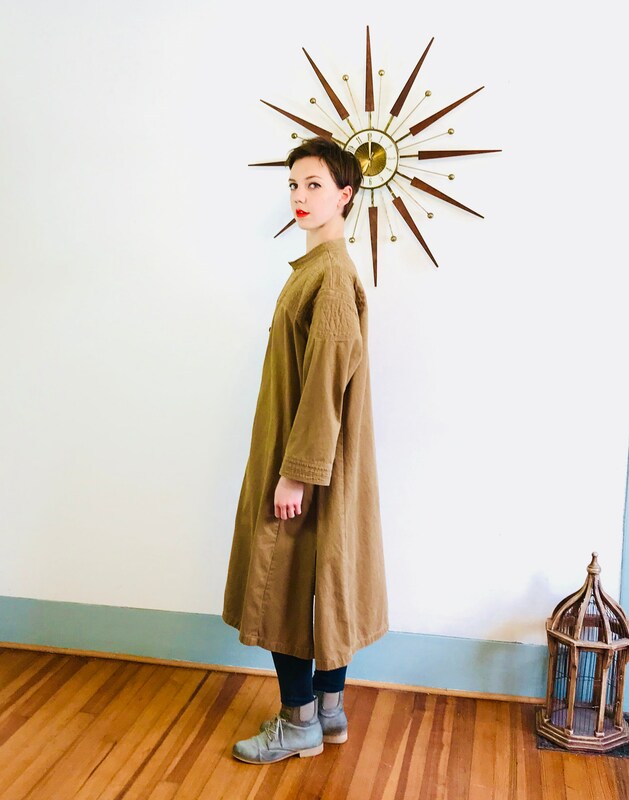 I love this Super Long Boxy Overcoat! 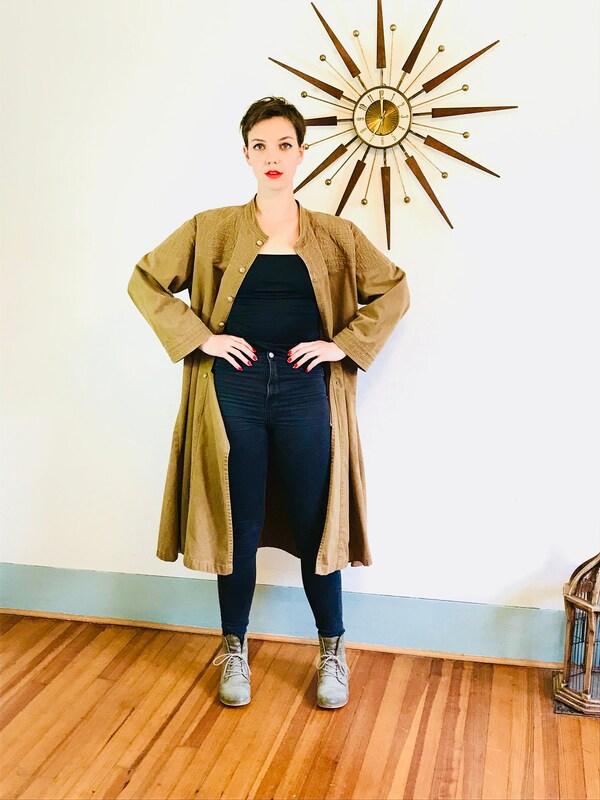 Model Measurements: bust:34" waist:27" hips:38" height 5'9"